At Grab, your safety is our utmost priority. 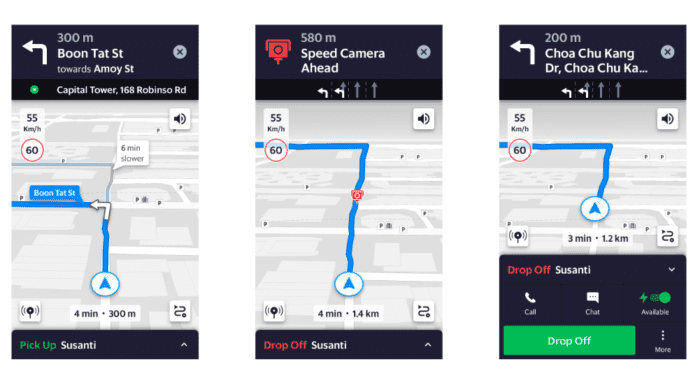 We understand it can be challenging for you, our Driver-Partners, to drive while switching between multiple apps. 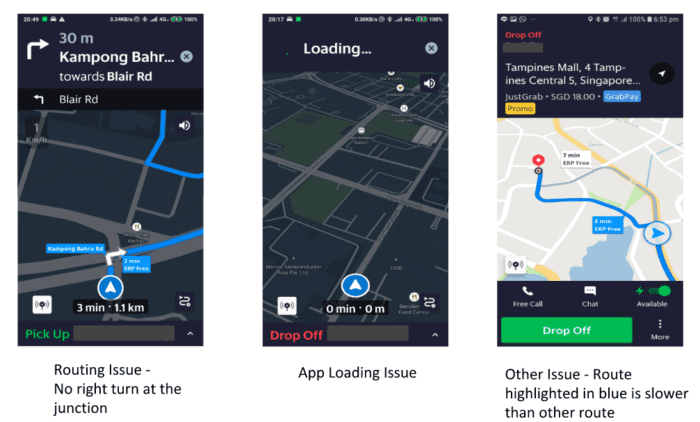 To address these fundamental issues, we are launching a new navigation experience within the Grab Driver app, and we need your help to make it better! This step is crucial in creating the best experience for you when using our platform. Here are some examples of issues we have started to fix! 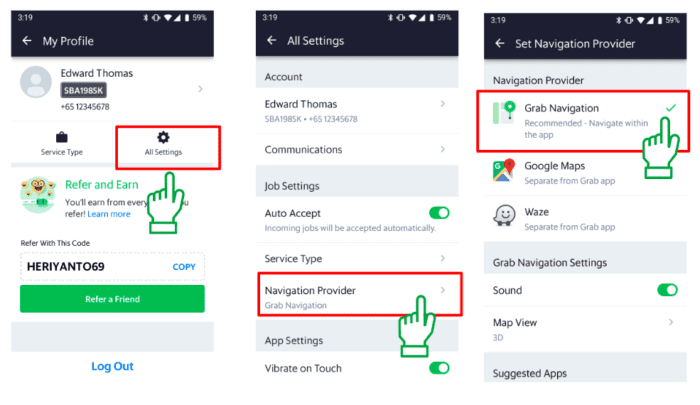 Do note that you can still receive back-to-back jobs or GrabShare matches while navigating within the Grab Driver app. Your map will automatically be updated when the job is accepted. Grab Navigation will now open by default whenever you tap on the ‘Navigate’ icon during a trip. A: You would have received an in-app notification or SMS from Grab indicating that you’ve selected to be part of the pilot programme. Please note that this feature is only available for Android devices with Grab Driver app v5.65.0 and above. Q: Can I the in-app navigation when not in a Grab job? Q: I’ve accepted a back-to-back job / GrabShare match / Multi-stop ride / Change destination mid trip. Will my route be updated automatically? Q: How do I share feedback / report any issues seen while using in-app navigation? A: Please click here on the below link to share your feedback on Grab Navigation. In addition to this, there will be a satisfaction survey shared with 2-3 weeks after the start of Beta testing.